The Eater of Books! 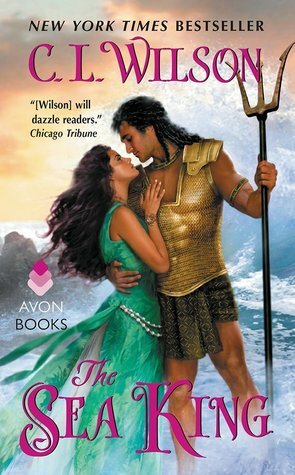 : October 2017 New Release Giveaway! 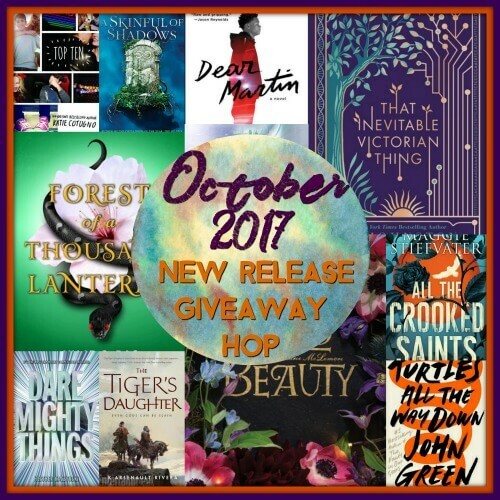 Welcome to the October New Release Giveaway Hop! 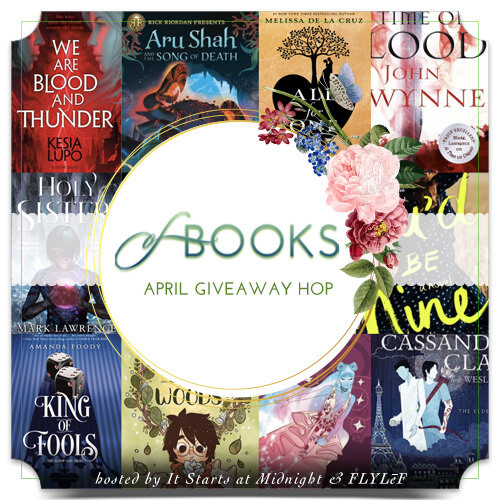 The October New Release Giveaway hop is hosted by It Starts At Midnight. Win an October '17 book pictured above! Print or ebook (print = The Book Depository only). It must be one pictured above. Winner has 48 hours to respond. The usual Giveaways rules apply. I would choose Into the Bright Unknown. I'm also looking forward to reading That Inevitable Victorian Thing and Turtles All the Way Down. 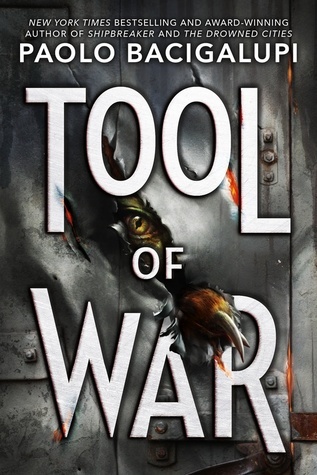 "What book would you choose (and/or what October novels are you looking forward to reading)? List your top choice(s)!" I don't know yet! I'd choose Dear Martin.Other than Dear Martin, I'm looking forward to All the Crooked Saints, This Darkness Mine, and Forest of a Thousand Lanterns. I would like to read The Glass Spare. 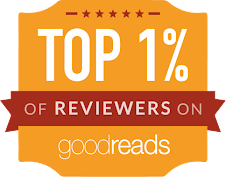 by Julie C. Dao, The Glass Spare by Lauren DeStefano and The Afterlife of Holly Chase by Cynthia Hand. All The Crooked Saints is my first because I love Maggie's writing. My others would include Everything Must Go, Haunting The Deep, and Shadow Crown. I highly recommend Berserker and 27 Hours. These were some of my favorite reads this year. I think I would choose Dear Martin! That book has been catching my eye a lot recently! Thank you for hosting the giveaway! My first choice would be Dear Martin I hope you get through that one! Devils and Thieves sounds kind of cool. 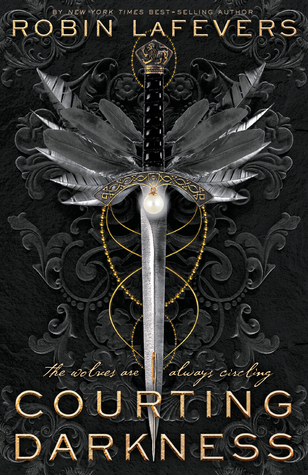 I am so excited for A Line In the Dark, All the Crooked Saints, The Hanging Girl and The Devils You Know! There's a lot I want that's coming out in October! Dare Mighty Things tops my OCtober list. I'm intrigued about Devils and Thieves! I am looking forward to reading Turtles all the Way Down. I would probably pick The Knowing, and I'm excited to finish reading Lois Lane: Double Down in October, and hopefully read Heart of Iron too! :) Thanks for the chance! 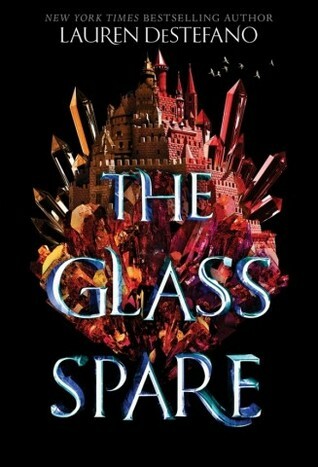 I'd love to read The Glass Spare! The Glass Spare really looks like something I would enjoy. I would probaby choose The Midnight Dance! I'd choose Forest of a Thousand Lanterns. I honestly can't wait to see what you think of The Sea King. Such a great book. I hope you'll enjoy all these books! They look amazing! I'm looking forward to The Empress and Into the Bright Unknown! I think I want to try Thousand Lanterns! I would choose Devils and Thieves. My choice would be The Midnight Dance, thank you. by Leigh Goff look great too. All The Crooked Saints would be my first choose but after that...all of them? Thank you for the lovely giveaway Alyssa. <3 You are awesome, as always :D I would love to win the Forest book, I think :D I'm most excited about The Book of Dust this month. Ahhh. My top 2 are Turtles all the way down and All the crooked saints! So many good choices this month! I've been wanting to read Gray Wolf Island. I would choose Dear Martin! There are so many good books out this October! I would probably choose The Midnight Dance. I'm also looking forward to reading The Afterlife of Holly Chase. I would choose the Midnight Dance! I think I'd choose Wild Beauty and The Knowing. I'm really looking forward to Turtles All the Way Down and All the Crooked Saints. I would choose Dear Martin! I'd love to have a copy of The Sea King. I've been looking forward to it for a long time! I'd choose The Midnight Dance. The Midnight Dance and Devils & Thieves both look really good. 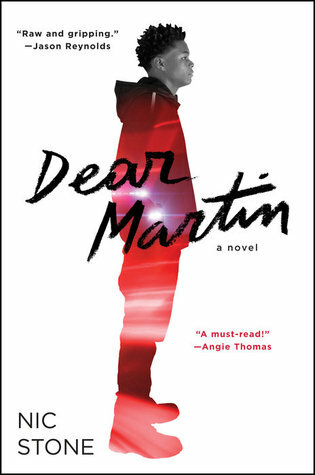 I've heard great things about Dear Martin and I'm really intrigued by Devils & Thieves so I'd choose one of those! Into the Bright Unknown, The Midnight Dance and The Knowing. Thanks. HMMMMM hard choice, but would probably choose That Inevitable Victorian Thing. Excited to read Turtles All The Way Down and Wild Beauty! So many good ones bu I like the sound on All the Crooked Saints!! I would choose The Sea King.